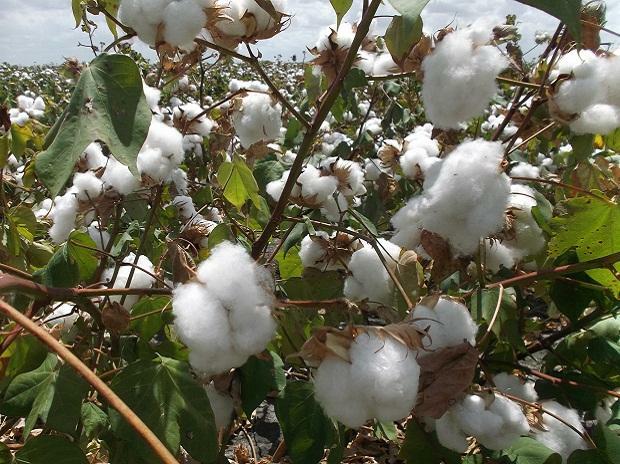 India is fast losing its cotton export market to Brazil due to a sharp increase in the fibre prices over the last six weeks which makes Indian shipments uncompetitive in world markets. The benchmark Shankar 6 variety of cotton jumped more than 10 per cent to trade at Rs 12,907 a quintal on Friday as against Rs 11,698 a quintal on February 28. With the Cotton Association of India (CAI) forecasting that India’s cotton output will remain lower during the current season, its arrivals have started declining gradually. Cotton harvesting ended early this season due to reports of crop damage in major fibre producing states including drought-hit Maharashtra and Gujarat. Apart from rising domestic cotton prices, the appreciating rupee has made actual realisation lower than the depreciating Brazilian real. While the rupee appreciated by 2.27 per cent to close at Rs 69.18 against the dollar on Friday compared to Rs 70.75 on February 28. In the same period, however, the Brazilian real – has depreciated by 3.88 per cent to 3.88 against a dollar from 3.76 against a dollar on February 28. “Indian cotton has become uncompetitive in the world market. The largest importer, China, has started importing cotton from Brazil as it has become a cheaper substitute,” said M B Lal, former chairman of the Cotton Corporation of India. India’s shipment of nearly 400,000 – 500,000 bales of cotton is under serious threat of delivery default as Indian exporters face higher procurement prices than contracted for cotton exports. The CAI in its latest report estimated the cotton crop for 2018-19 at 32.1 million bales of 170 kgs each which is lower by 0.7 million bales than its previous estimate of 32.8 million bales made in March. “Rising cotton prices may restrict India’s exports this year. India has exported around 4 million bales so far this year,” said Arun Sakseria, a veteran cotton exporter. Meanwhile, K V Srinivasan, Chairman, Cotton Textile Export Promotion Council (Texprocil) has urged the government to emphasise the need to boost exports of textile products not only to compensate the decline in cotton exports, but also to narrow the trade deficit with China. “Exports of cotton textiles had contributed to the reduction in trade deficit with China, the largest importer of India’s cotton. India’s exports of textiles and apparel posted an increase of 69 per cent to $1.5 billion between April 2018 and February 2019 compared to $919.76 million in the corresponding period last year. Export of cotton textiles can be increased further if the tariff disadvantage of 3.5 - 10 per cent suffered by India in comparison to Vietnam, Pakistan and Indonesia on textile products is addressed by making further special efforts,” Srinivasan added. China is an important trading partner for India with an import of $65.22 billion worth of goods and export of S$ 15.10 billion for the period April – February 2019., recording an all time high in exports and sharp decline in imports from China.